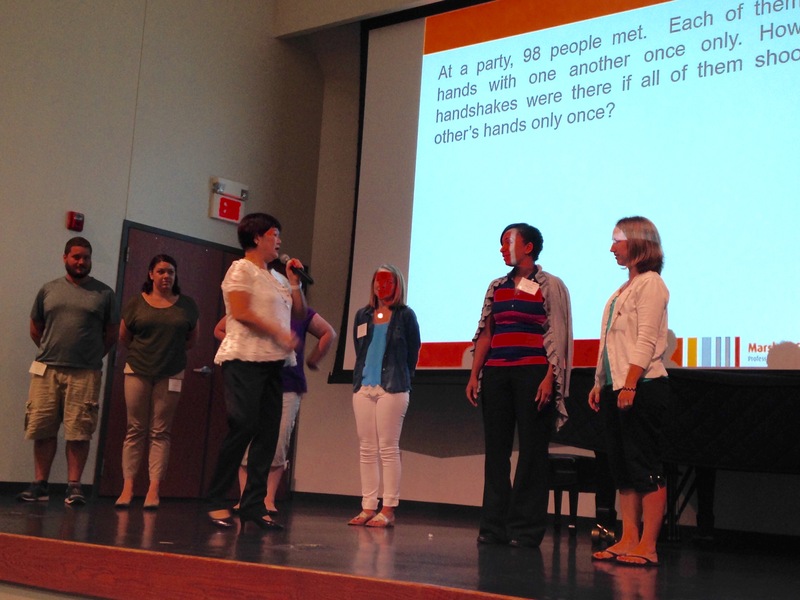 Singapore Math PD: Hands-on instruction! The publisher of Singapore Math® textbooks, Math In Focus® and Primary Mathematics®. 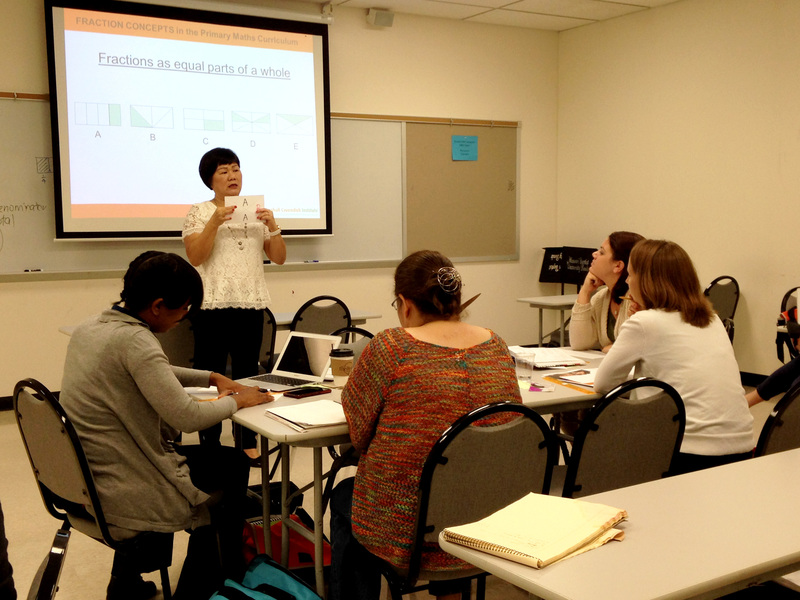 From reviewing the landscape of Singapore Math® to hands-on teaching strategies including anchor tasks and bar modeling, the 5th Annual Singapore Math® Summer Institute: Where Content Meets Pedagogy in St. Louis, Missouri was an enlightening 3-day event. Fraction Concepts, Solving World Problems Using Bar Models and Journal Writing in Mathematics were just a few of the sessions presented at this professional development event in which an international collection of speakers and attendees had the opportunity to network and share their Singapore Math® classroom success stories and challenges. Guided by a panel of experts from the United States and Singapore, including Missouri Baptist University's professor Dr. Joyce Lindstrom, Marshall Cavendish Institute's instructors Dr. Justina Tan and Juliana Loh, and Marshall Cavendish Education's instructor Hoover Herrera, attendees were able to participate in breakout sessions and hands-on exercises. Marshall Cavendish's 5th Annual Singapore Math® Summer Institute is the largest authentic Singapore Math training event, expanded this year to three locations: Fort Lauderdale, FL; St. Louis, MO; and Worcester, MA. Marshall Cavendish Education is pleased to offer a variety of professional development courses and the support to successfully teach the Singapore Math® Approach. Get the Singapore Math® Approach advantage with customized professional development, from pre-planning through implementation. Singapore Math® is a trademark of Singapore Math, Inc.® and Marshall Cavendish Pte. Ltd.